On September 23, 2010, the first annual International Tourism Fair of the Americas (FITA) opened in Mexico City’s convention center to introduce Mexico’s large outbound tourism market to the world. As a media participant in the fair, it’s been fascinating to watch how Disney and Mall of America, as well as Egypt and Japan, market themselves to an affluent group of tourists whose primary cultural references and language are Latin. 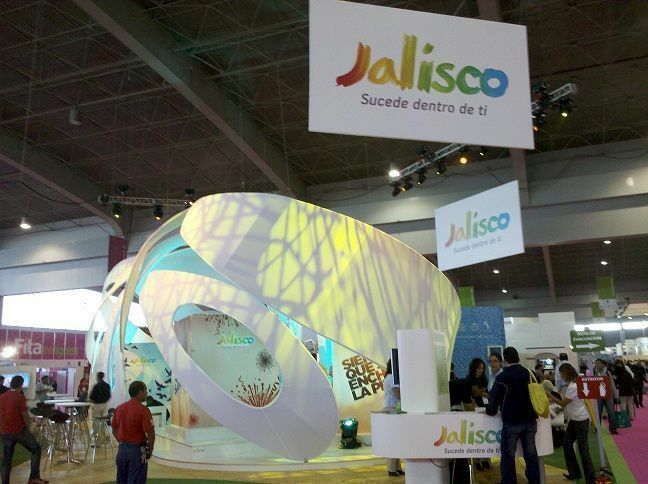 Did Mexico City need a tourism fair? While most North Americans consider Mexico to be a wonderful destination for culture, sun and sand, in fact Mexicans are the second largest group of international visitors to the U.S. and the fourth largest to Canada. More than half of the country’s outbound travelers originate in Mexico City — one of the largest cities in the world with a population in the greater Distrito Federal of more than 22 million. Tour operators and airlines welcomed the fair as a way to reach a market where more than 42% use travel agents to book their trips. The average cost of the Mexican trip is US$1105, the highest in the Latin American countries and one of the highest in the world, a fact that encouraged Asia and Africa destinations to attend the convention. The tourism fair, similar to the New York Times Travel Show or Adventure Expo, boasted aisles of colorful booths, each manned by attractive women in, well… attractive outfits, or in wonderful ethnic costumes that transported accidental tourists to their promised brand. After an elaborate opening ceremony by the heads of Mexico City and its regional tourist boards, the 55 international countries and 30 Mexican exhibitors went to work. Their participation had already made the fair a success in the eyes of the Mexican City Tourism Board, which hoped to increase awareness of this vibrant and sophisticated destination. The organizers of FITA anticipate 5,000 tourism professionals and up to 30,000 plain old curious travelers by the end of the four-day run. You may be tempted to visit the fast-growing, super luxe neighborhood of Santa Fe, where we were ensconced at the brand new Westin. This beautiful high style monastery of marble is one of many four and five-star hotels in the zone surrounding the Bancomer Convention Center in a development of business and residential highrises to the west of Chapultepec Park. But in my opinion, it’s just too far away from the sights most travelers are interested in to be a good fit. Stay tuned for updates on Uruguay, Cuba, Brasil, Bangladesh and some of the other tourism destinations that Family Travel Forum staffers often don’t have the opportunity to cover at other tourism fairs. Prev Article Prev Article How Important is Family Travel for the Soul?